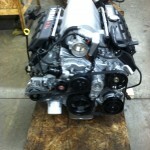 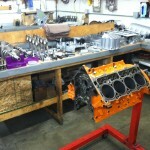 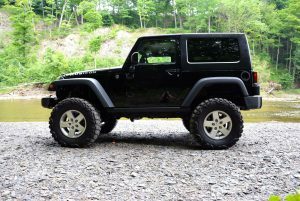 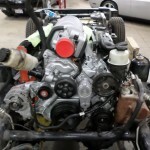 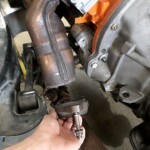 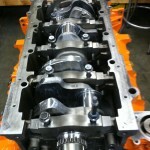 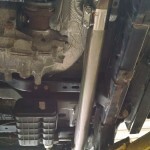 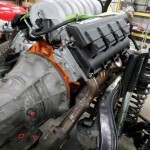 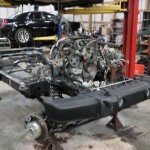 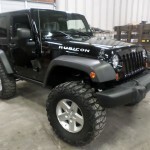 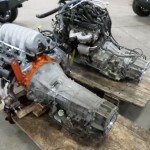 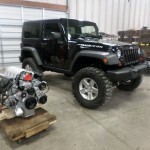 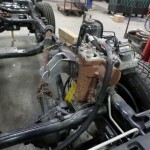 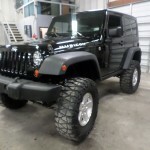 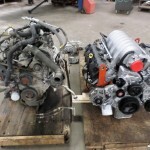 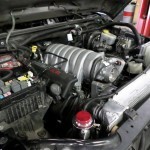 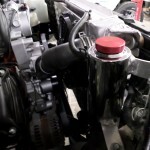 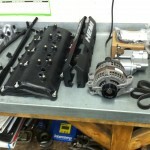 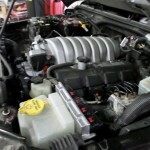 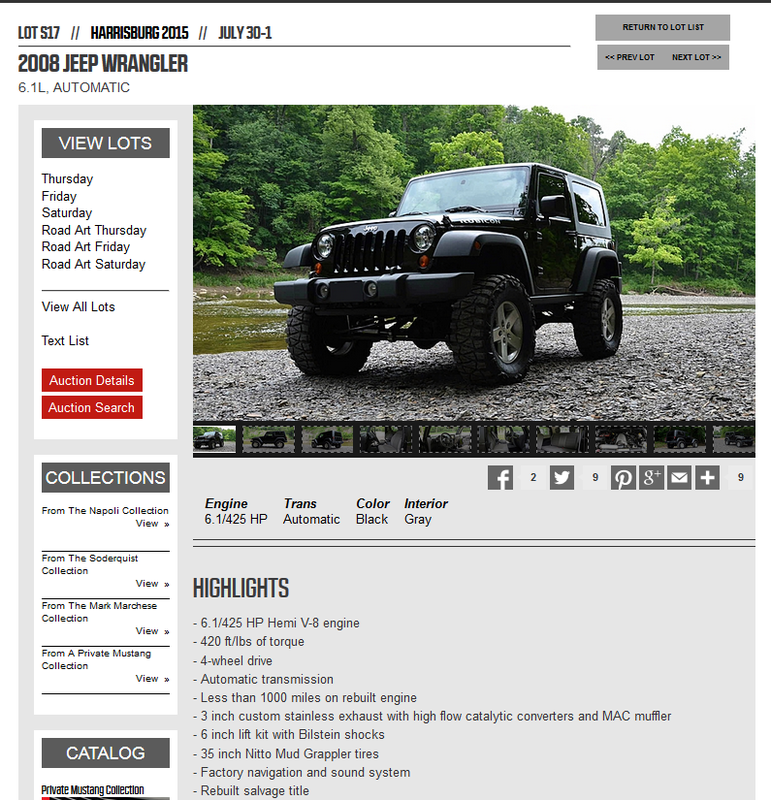 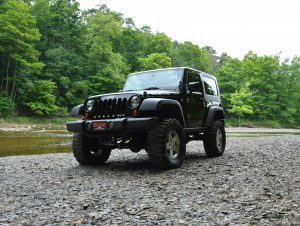 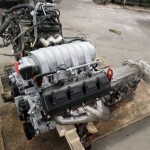 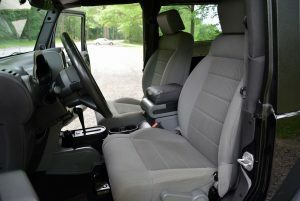 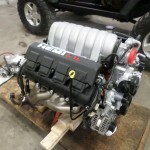 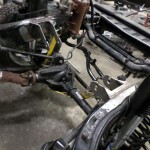 Were back on the blog with part 3 of our 2008 Wrangler JK 6.1L HEMI Swap! 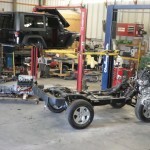 The crew here at Power and performance has been wrenching, wiring, welding and fabbing on this Jeep for several weeks now and we are really seeing the Jeep come to life. 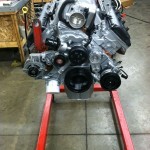 This has been one of the most rewarding builds we have done in regards to excitement and sense of accomplishment. 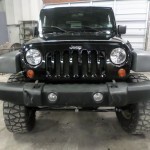 All of the builders and techs working on this Jeep have a smile on their face every time they take a step back from the build to appreciate the fruits of their labor. 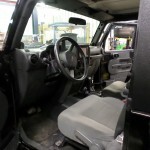 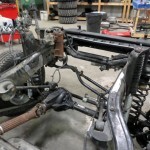 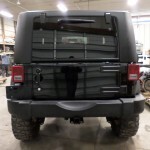 As I mentioned in the last installment of our HEMI JK blog, we are building this Jeep as “in house” as possible. 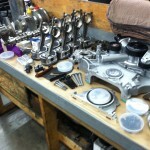 The means we are not confined to the cookie cutter kits that are out there. 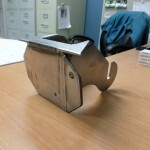 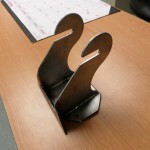 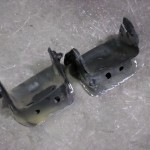 We can use parts we have in stock, and make our own when possible. 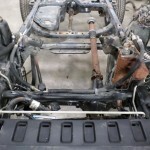 Before we could drop the engine on the frame, we had to modify the exhaust manifolds as the stock 6.1L manifolds don’t want to fit in-between the rails of the frame. 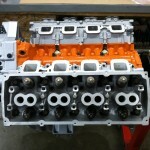 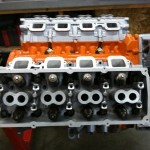 There are several options to use on these builds in regards to manifolds. 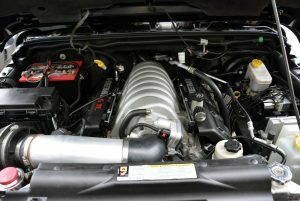 You could always throw some long tubes on and notch the frame when necessary, you could use 5.7L manifolds that hug the block a little tighter, or you could modify the already impressive stock 6.1l manifolds that are essentially shorty headers. 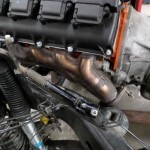 With a little measuring and ingenuity the manifolds were done up allowing us to keep a stock look, without sacrificing exhaust flow. 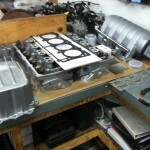 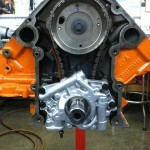 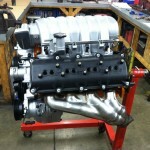 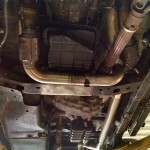 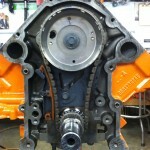 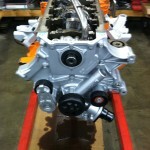 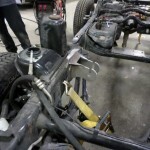 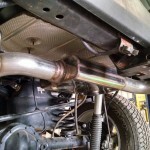 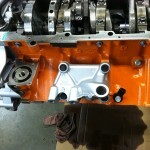 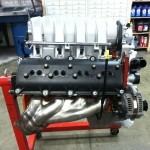 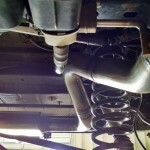 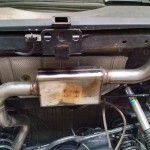 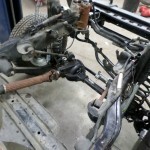 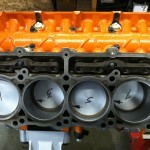 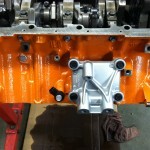 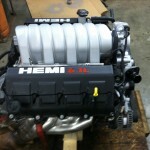 With the manifolds finished and in place all that was left to do was to drop the HEMI into the JK frame for a test fit. 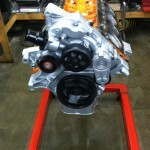 Everything lined up and fit great As you can see from the pictures above. 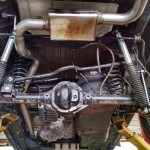 Next on the agenda is finish the cooling, fabricate a custom exhaust from scratch and get into the engine and trans wiring. 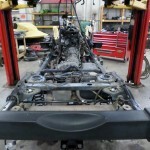 Before to long, the body will be back on the frame and she will be getting closer to test driving . 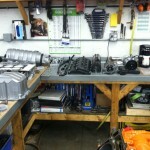 As always, feel free to email or call us with questions clevelandpap@yahoo.com and 866-236-5031.